Shh! It's Monkey's birthday -- but that's a secret. Can Elephant keep the big news under his party hat for one whole day? Monkey and Elephant are very good friends -- such good friends that Monkey lets Elephant in on a secret. The secret is that it is Monkey's birthday, and Monkey does not like birthdays. 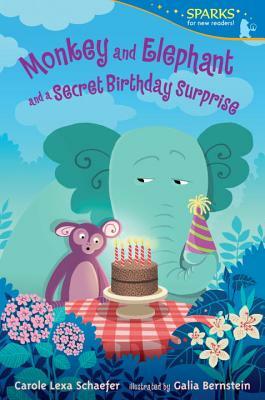 But Elephant also has a secret: he has trouble keeping secrets. And keeping such a happy secret is especially hard. When Elephant learns that Clever Rat has made some party hats and is inviting friends over to see them, Elephant wants to turn their gathering into a party for Monkey. But how will he do it without giving away Monkey's secret?